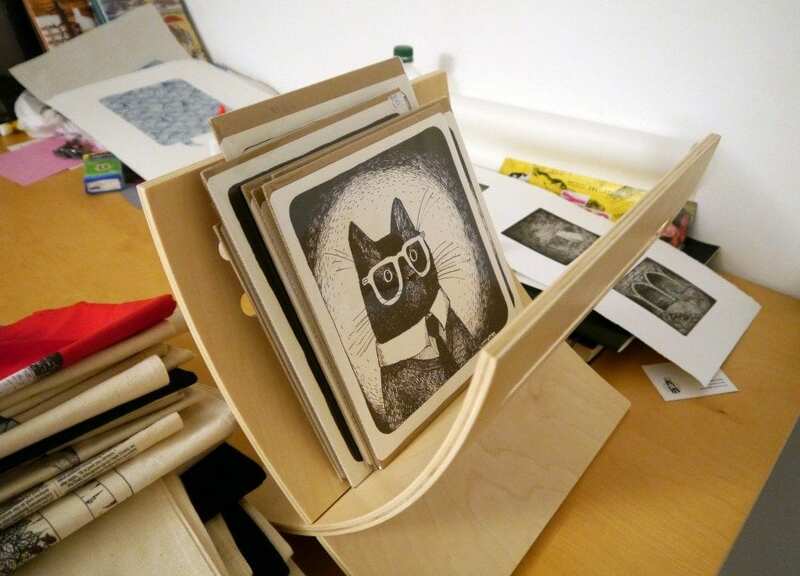 Last month, after much excitement, the Hill Street Design House in Edinburgh finally opened it’s doors to reveal 3 stories jam packed full of Edinburgh’s greatest local talent. With designers such as my favourite scarf misteress Karen Mabon, phenomenal dress master Rowanjoy and simply stunning accessories maker Patience Jewellery I knew for sure I was going to be in my element wandering around the studios. Today I thought I would share 3 of my favourite rooms from their opening – because there is just too much goodness to be seen! 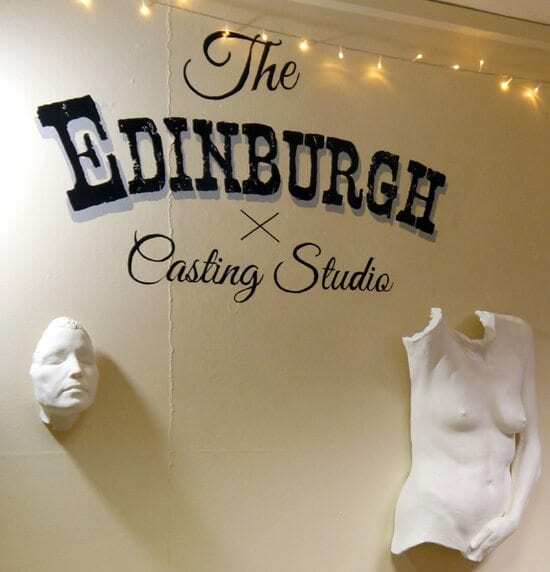 I’m a big fan of The Edinburgh Casting Studio and was totally mesmerised watching Poppy and Louis doing demos during the evening for their visitors. Their studio was packed out full of people wanting to take part and get messy (including myself! ), I have to say I have a new found respect for life casting. One little girl got her hand cast so it could be used as a mobile phone doc (seriously, I wish I was that clever at 7 years old!) and there were a lot of amazing finger key rings being made throughout the evening. Most impressively 5 week old Theo got his feet cast while I was there, and I was delighted to take this snap. 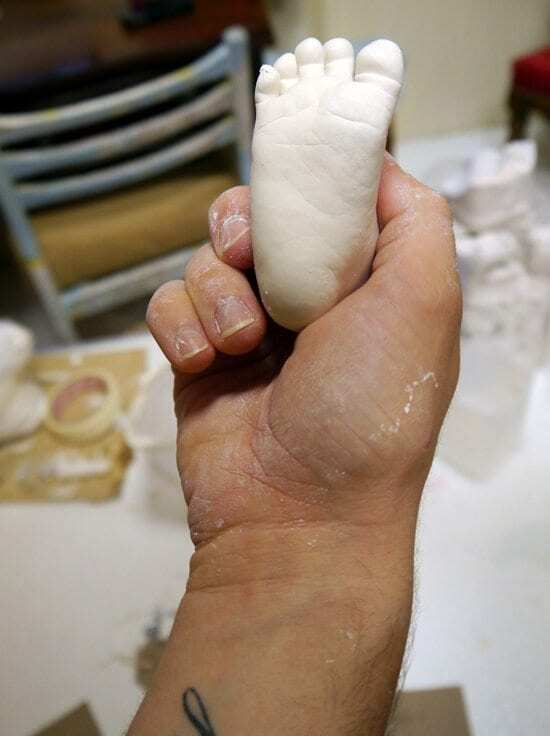 Check out how lifelike it turned out – look at those tiny toes!Theo stayed asleep the whole time, so you can rest assured this is a great gift for new mums if they want a keepsake reminder of their teeny babies without the tears. They can cast pretty much anything as they use a special quick drying seaweed based moulding substance, making it human friendly, which is really great to know because no one wants to be exposed to any kind of chemical nasties. It was so cool seeing what sculptures they’ve created already, even thought they’ve just opened their studio! I’d love to do a project with them – it’s so inspiring that you can collaborate with local artists and create your own masterpiece. I know who’s first on my list for decorations when I move flat!! 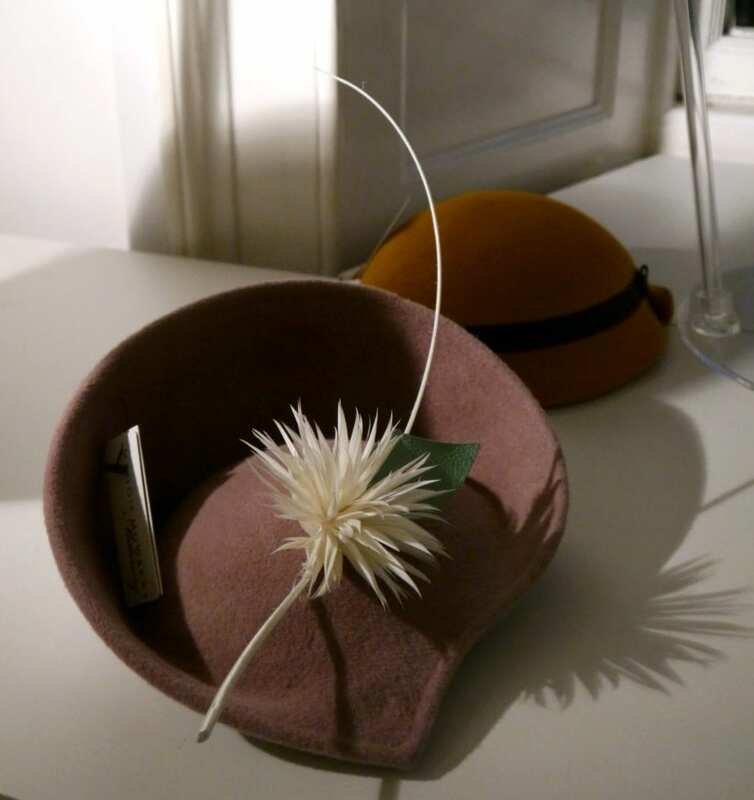 Visiting Maggie Mowbray‘s millinery display room was the equivalent to visiting Willy Wonka’s Chocolate Factory for me, so I had to add her to my Top 3. She had rows and rows of beautiful handmade felt hats and floral fascinators laid out for us all to try on; what a treat! 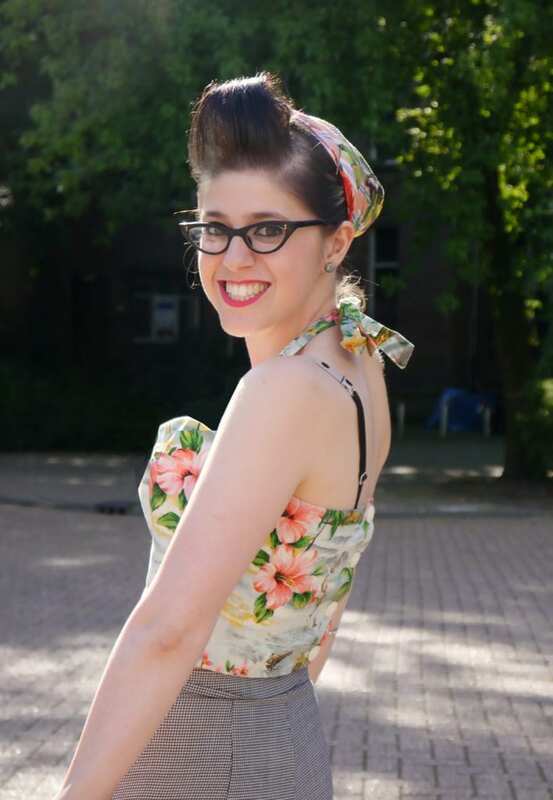 I may have had my giant quiff up that day but it didn’t stop me from trying on a hand full of these stunning pieces. I am so in love with the vintage vogue style of the hat in the top image I think I’m going to have to start saving up to add it to my collection. It’s just so elegant and timeless! 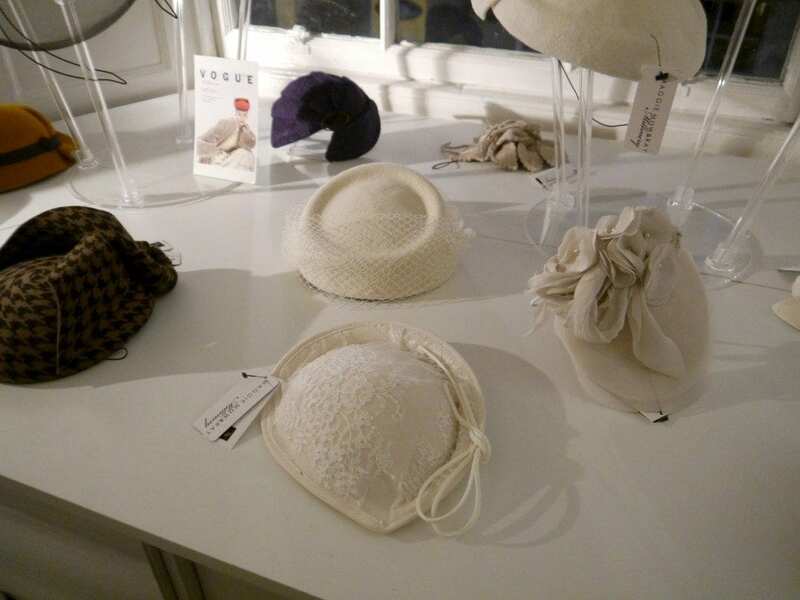 Like the Edinburgh Casting Studio, you work very closely with Maggie to create the headwear of your dreams, which makes it oh so extra special. As each piece is made to measure, you can choose what type of materials you use, what shape, colour, trimmings, literally every little detail down to the comb or elastic fastening. If I ever get married, I’d love to make a wedding hat with her, she’s just so talented. I think I need to organise some kind of fabulous party just so I have an excuse to start thinking about hats now! 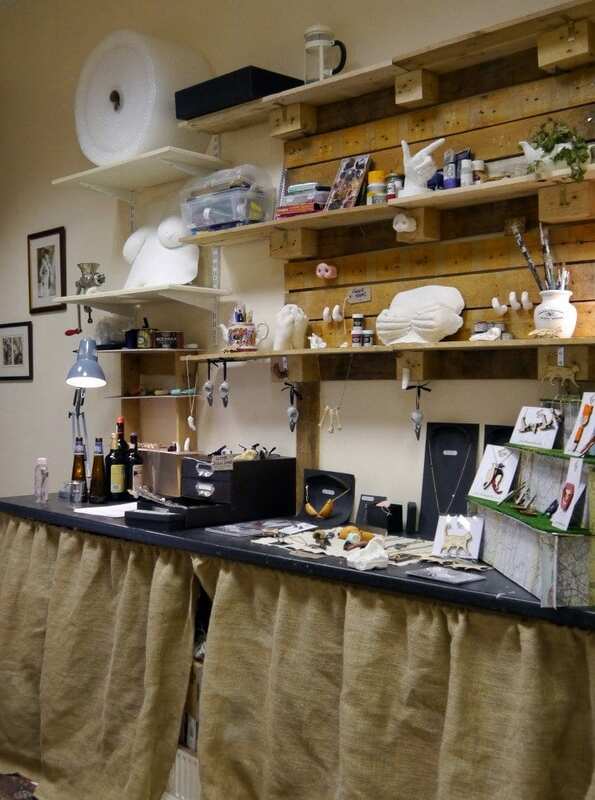 Finally, I was thrilled to bits to see my lovely illustrator friend Zyzanna’s studio finally set up. 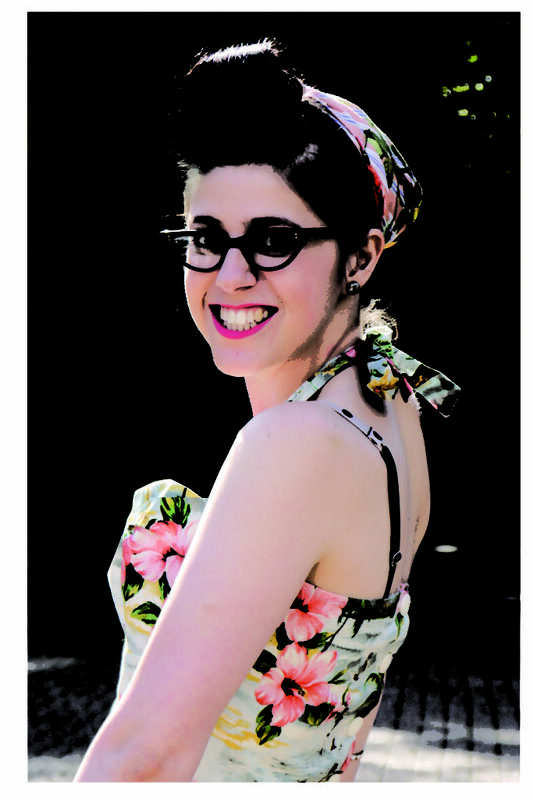 With so many amazing products I know how important it was for her to get a studio to work in, its all been go go go! 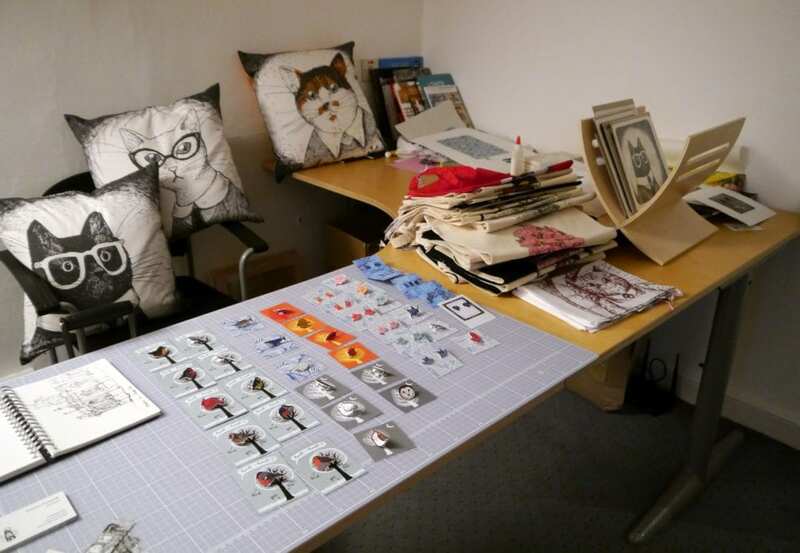 She’s just launched a new line of the greatest handmade cushions ever, created using her own illustrated material and lovingly stitched together by herself (I really want the black cat with geek glasses one, it has to be the best grumpy cat drawing ever!) so clearly space to make in is crucial for her. She’s also been expanding her handmade jewellery line, china mug collection and amazing tote bag range and it’s so incredible to see it all come together under one roof. Seeing everyones work all laid out makes me want to make all the things!! If your a fan of all creatures great and small you have to check out her current exhibition at Hula Juice Bar which opens tonight and is on till January. I’m so excited! 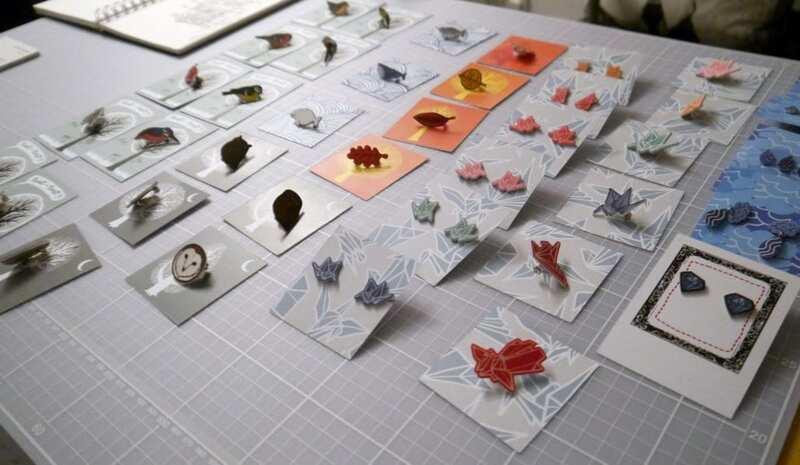 For those who can’t make it, you can check out her incredibly detailed work here. These three artists are definitely one’s to watch, don’t you think? I hope you had fun on your virtual tour!